XML EDI for Attaché BI allows XML orders from your major customers to be imported directly into Attaché, saving hours of data entry time. It supports two popular XML EDI order formats: HIWG XML and GS1 XML. 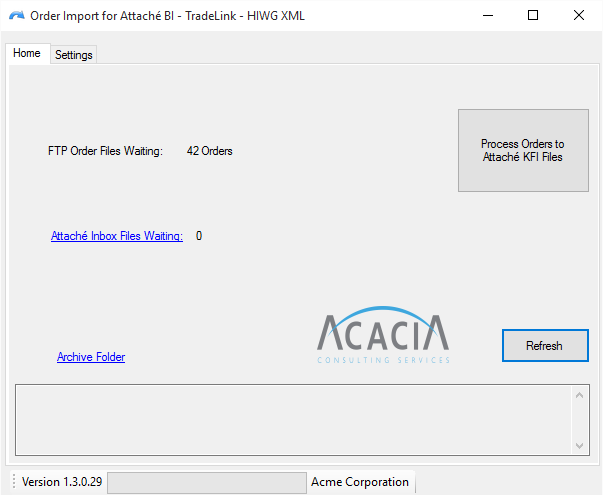 XML EDI for Attaché BI has been developed specifically to work with Attaché BI by the team at Acacia.